Eksklusiewe Landskappe | Exclusive Landscapes is an award winning company that has been involved in high profile gardening and landscaping projects for more than 16 years across the country. Hundreds of gardens, ranging from small residential gardens to large corporate gardens have been completed over the years whilst smaller landscaping firms struggled to keep up. We provide more landscaping services than your average landscaping firms across the country, that contributes to the success of our projects. Eksklusiewe Landskappe | Exclusive Landscapes has set the landscaping pace over the years ensuring innovative designs that enabled us to stay at the forefront of new developments in the landscaping industry. 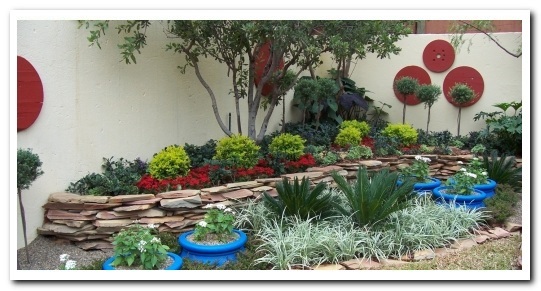 Being one of the few “old school” landscapers still in the landscaping industry, a passion for plants, honesty, integrity, dedication and quality workmanship are the core values that Eben Vermaas stands for. Professional service is provided from the site briefing until the final handover of the project no matter how big or small. Eksklusiewe Landskappe | ExclusiveLandscapes is proud to provide a service that contributes to the lifestyle enhancement of our clients and as a result, satisfied clients have come back to Eksklusiewe Landskappe | ExclusiveLandscapes for continuous satisfaction and enjoyment of our quality projects.